The Athletic's Grizzlies beat writer, Omari Sankofa, joins via arena link to discuss the Grizzlies struggles, a recent team fight, and Chandler Parsons. • Selected by Sacramento as an early entry candidate out of Israel (Maccabi Tel Aviv) in the first round (23rd overall) of the 2009 NBA Draft. • Only Israeli player ever chosen in the first round of the NBA Draft. • Played in Israel from 2005-09. • Signed a multi-year contract with the Kings on July 10, 2009. • Traded by the Kings with a first-round pick to the Cleveland Cavaliers for J.J. Hickson on June 30, 2011. • Signed as a free agent by the Houston Rockets on July 16, 2013. • Traded by the Rockets with Omer Asik and cash considerations to the New Orleans Pelicans as part of a three-team trade on July 15, 2014. The Rockets traded a trade exception to the Washington Wizards; the Pelicans traded Alonzo Gee, Scotty Hopson and a 2015 first-round draft pick to the Rockets; the Pelicans traded Melvin Ely to the Wizards; the Wizards traded Trevor Ariza to the Rockets. • Waived by the Pelicans on July 23, 2014. • Signed as free agent by the Kings on September 18, 2014. • Signed a multi-year contract with the Kings on July 14, 2015. • Traded by the Kings with DeMarcus Cousins to the Pelicans for Tyreke Evans, Langston Galloway, Buddy Hield, a 2017 first-round draft pick and a 2017 second-round draft pick on February 20, 2017. • Waived by the Pelicans on February 25, 2017. • Signed as a free agent with the Minnesota Timberwolves on March 20, 2017. • Signed as a free agent with Golden State on July 12, 2017. • Appeared in 499 games (138 starts) over eight seasons with Sacramento (twice), Cleveland, Houston, New Orleans and Minnesota, averaging 8.2 points, 4.1 rebounds and 1.2 assists in 21.4 minutes per game while shooting 44.3 percent from the field, 36.7 from three-point range and 67.5 percent from the free throw line. • Appeared in 68 games, averaging 4.6 points, 3.0 rebounds and 2.2 assists in 12.6 minutes per game while shooting 53.6 percent from the field. With Sacramento, appeared in 22 games (started 2), averaging 5.9 points, 4.1 rebounds, 1.2 assists in 18.0 minutes per game while shooting 45.3 percent from the field and 37.9 percent from three-point range. • Scored in double figures in six games, including a five-game stretch. • With New Orleans, appeared in one game, tallying 12 points (5-9 FG, 2-4 3pt) and two rebounds in 24 minutes off the bench on 2/23 vs. Houston before suffering a broken right thumb. • With Minnesota, appeared in 13 games, averaging 3.5 points, 1.5 rebounds and 0.8 assists in 17.1 minutes per game while shooting 50 percent from the field. • Appeared in 69 games (started 21), averaging 11.8 points, 5.9 rebounds, 1.4 assists in 27.3 minutes per game while shooting 48.1 percent from the field and 40.9 percent from the three-point range. • Had career-highs in scoring, three-point field goal percentage, rebounds per game and minutes per game. • In 48 games as a reserve, averaged 10.8 points, 5.5 rebounds, 1.3 assists in 24.7 minutes per game while shooting 46.8 from the field, 36.6 from three-point range and 70.6 from the free throw line. • Missed 13 games due to injury - one game (12/3) due to gastroenteritis, four games (1/4-1/9) due to upper back soreness, one game (2/19) due to a wisdom tooth extraction, one game (3/18) due to a sore left ankle and six games (4/2-4/13) due to a right hamstring strain suffered in the game vs. Miami (4/1) in the second quarter. • Scored in double figures in 47 games, 20-plus three times and 30-plus in one. • Grabbed 10 or more rebounds in seven games. • Led team in scoring in three games and rebounds in five. • Tallied 22 points (8-10 FG, 2-3 3pt, 4-5 FT), four rebounds, one assists and two steals in 33 minutes off the bench on 11/6/15 vs. Houston. • Recorded nine points (3-5 FG, 1-2 3pt, 2-2 FT), a team-high-tying and season-high 11 rebounds, one assist and one steal in 27 minutes off the bench on 11/11/15 vs. Detroit. • Recorded first double-double of the season with 11 points (5-11 FG, 1-3 3pt) and season-high-tying 11 rebounds to go along with two assists and one steal in 32 minutes off the bench on 11/21/15 at Orlando. • Tallied a career-high 36 points (13-18 FG, 9-12 3pt, 1-4 FT), six rebounds, one assist in 35 minutes on 12/28/15 at Golden State. • Tied the Kings franchise record for most 3-pointers made (9) in a game and set new franchise records for most 3-pointers made in a quarter (6 in the 2nd) and a half (7 in the 1st) on 12/28/15 at Golden State. • Appeared in 67 games (started 19), averaging 8.9 points, 3.9 rebounds, 1.5 assists and 21.1 minutes per game while shooting 48.9 percent from the field and 40.2 percent from three-point range. • Missed 11 games due to injury or illness - 10 games (12/11-12/18/14, 1/1-1/13/15) due to a left knee bone contusion and one game (4/15/15) due to gastroenteritis. • Scored in double-figures in 27 games, 20 or more in four games, 30-plus in one game. • Grabbed 10 or more rebounds in two games. • Led the Kings in scoring in four games, rebounding in two, assists in four. • Appeared in 71 games (started 2), averaging 6.9 points (.422 FG%, .347 3pt%, .680 FT%), 3.7 rebounds, 1.2 assists and 18.1 minutes per game while shooting 42.2 percent from the field and 34.7 percent from three-point range. • Missed two games due to injury or illness - did not dress in one game (11/2/13) due a sprained left ankle and was not with team for one game (3/17/14) because of the flu. • Led the Rockets with 19 points off the bench on 11/4/13 at the L.A. Clippers. • Scored 11 of his 16 points (4-6 FG, 6-6 FT) in Houston’s fourth-quarter rally en route to a 93-86 win on 11/25/13 at Memphis. • The Rockets qualified for the NBA Playoffs but did not play, recording six DNP-CDs. • Appeared in 43 games (started 1), averaging 4.0 points, 2.7 rebounds, 0.7 assists and 11.7 minutes per game while shooting 39.4 percent from the field and 32.9 percent from three-point range. • Missed 12 games due to injury or illness - three games (12/12-12/15/12) due to gastroenteritis, one game (2/23/13) due to abdomi-nal pain and eight games (2/24-3/10/13) due to an appendectomy. • Recorded DNP-CD in 28 games, DND on six occasions and NWT three times on the season. • Finished with nine points, six rebounds and two blocks in 17 minutes on 4/10/13 vs. Detroit. • Appeared in 65 games (started 35), averaging 7.1 points, 3.5 rebounds, 1.0 assists and 20.6 minutes per game while shooting 40.3 percent from the field and 31.5 percent from three-point range. • Recorded a DND in one game (4/26/12) with right knee/quad tendinitis. • Scored in double-figures in 16 games. • Led or tied for the team lead in scoring once, rebounds twice, steals eight times and blocks 10 times. • In 35 starts averaged 7.7 points, 3.5 rebounds, 1.3 assists in 23.1 minutes per game while shooting 41.5 percent from the field. • Scored a season-high tying 14 points to go along with seven rebounds on 1/16/12 at Charlotte. • Grabbed a season-high 12 rebounds and scored six points on 2/19/12 against his former team, Sacramento. • Recorded a season-high four steals and added nine points and two rebounds on 2/4/12 vs. Dallas. • Appeared in 71 games (started 27), averaging 8.6 points, 4.3 rebounds, 1.0 assists, and 24.0 minutes per game while shooting 41.2 percent from the field and 37.2 percent from three-point range. • In 27 starts averaged 10.7 points, 5.2 rebounds, 1.1 assists, and 31.2 minutes per game while shooting 43.5 percent from the field and 35.6 percent from three-point range. • In 44 games off the bench averaged 7.3 points, 3.8 rebounds, 1.0 assists, and 19.5 minutes per game. • Missed one game due to back stiffness (3/5/11) and recorded DNP-CD in 10 games. • Scored in double-figures in 31 games, 20-plus in four games. • Grabbed 10-plus rebounds in four games. • Led team in scoring in four games, rebounding in six, and assists in one. • Recorded first double-double of the season with team-high and season-high 21 points (8-11 FG, 2-4 3pt, 3-3 FT) and 10 rebounds to go along with one assist and one steal in 34 minutes off the bench on 12/6/10 at L.A. Clippers. • Tallied 20 points (7-10 FG, 6-10 3pt, 0-2 FT), four rebounds, one assist, two steals, and one block in 42 minutes 10/30/10 at Cleveland. • Recorded a career-high six steals, 12 points, six rebounds, one assist, and one block in 25 minutes off the bench in the win on 12/8/10 vs. Washington. • Became first Israeli-born player to ever play in NBA. • Appeared in 77 games (started 31), averaging 10.3 points, 4.5 rebounds, 1.2 assists, and 25.1 minutes per game while shooting 44.6 percent from the field and 36.9 percent from three-point range. • In 31 starts averaged 12.2 points, 5.7 rebounds, 1.5 assists, and 30.6 minutes per game in 31 games while shooting 42.5 percent from the field and 35.9 percent from three-point range. • Missed two games due to injury or illness - one due to a lower back spasm (12/8) and one due to a virus (3/30). • Scored in double-figures in 41 games. • Tallied 20 or more points in seven contests. • Grabbed 10 or more rebounds in five games, including a season-high 11 boards twice. • Among NBA rookies, ranked seventh in scoring average, tied sixth in rebounds per game, tied 17th in assists per game, and ninth in minutes per game. • Hit three or more three-pointers in eight games. • Recorded a season-high 24 points (10-19 FG, 3-6 3pt, 1-3 FT), seven rebounds, one assist in 44 minutes on 1/5/10 vs. Phoenix. In first career start, recorded 22 points (6-16 FG, 2-8 3pt, 8-9 FT), five rebounds, three assists, one steal, and one block in 38 minutes on 12/16/09 vs. Washington. • Recorded first career double-double with 12 points (4-6 FG, 4-6 3pt) and a game-high-tying 10 rebounds to go along with a sea-son-high five assists and three steals in 36 minutes off the bench on 11/8/09 vs. Golden State. • Finished fourth in voting for the 2008-09 FIBA European Young Men’s Player of the Year Award behind Ricky Rubio (DKV Joventut), Danilo Gallinari (New York Knicks), and Kosta Koufos (Utah Jazz) after averaging 12.8 points (.647 FG%, .405 3pt%, .744 FT%), 4.6 rebounds, and 1.9 assists per game over the first 19 contests in the Israeli Premier League. • Appeared in 16 Euroleague games, averaging 8.8 points and 3.1 rebounds in 17.3 minutes per game while shooting 50.5 percent from the field, 45 percent from three-point range and 77.1 percent from the free throw line. • Averaged 11.4 points (.497 FG%, .302 3pt%, .738 FT%) and 4.0 rebounds per game in 25 games (started seven) in 2007-08 for Macca-bi Tel Aviv during Premier League play, teaming with former NBA players Dee Brown, Carlos Arroyo, and Marcus Brown. • Began the campaign by visiting New York for Maccabi’s NBA exhibition game against the Knicks, registering eight points and four rebounds in just 16 minutes on 10/11/07. • Joined Hapoel Galil Elyon on-loan from Maccabi for the 2006-07 campaign, posting 11.2 points (.511 FG%, .479 3pt%, .706 FT%), 2.9 rebounds, and 1.1 assists per game in 26 regular season contests. • Contributed 15.3 points (.586 FG%, .417 3pt%, .679 FT%), 3.2 rebounds, 1.3 assists, and 1.33 steals per game in six EuroCup Challenge games, including a career-high 27 points vs. BK Prostejov. • Appeared in 20 Euroleague playoff games, posting 4.5 points (.545 FG%, .286 3pt%, .600 FT) and 2.1 rebounds per game. • Tallied a postseason career-high 18 points at FC Barcelona. • Averaged 4.7 points (.588 FG%, .250 3pt%, .659 FT%) and 2.4 rebounds in 10.3 minutes per game in 19 regular season games as a rookie for Maccabi Tel Aviv (2005-06). • Appeared in three Euroleague postseason games, totaling two points. • Starred in the junior ranks for team Hapoel in Holon, Israel before debuting professionally at the age of 17. • Member of Israel’s Junior National Teams from 2005 to 2008. • Participated in the Men’s European Championships for the first time in 2008, posting 5.5 points and 3.0 rebounds per game over six games. • Averaged 17.9 points and 4.8 rebounds per contest at the 2007 European U20 Championships in Nova Gorica, Slovenia. • Scored 14 points (4-9 FG, 0-2 3pt, 6-9 FT) to go with three rebounds, two steals, and a block for the World Select Team at the 2007 Nike Hoop Summit on 4/7/07 in Memphis, teaming alongside Frenchman Nicolas Batum (Trail Blazers). • Led the team with 21.4 points and 7.1 rebounds per contest at the 2006 European U18 Championships held in Amaliada, Greece. • Made international basketball debut at the age of 17 during the 2005 European U18 Championships in Belgrade, Serbia, averaging 14.0 points and 5.2 rebounds per game. PERSONAL: Nickname is “O.C.”... 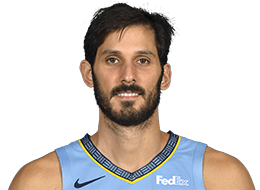 Son of Simon and Eilana Casspi... Has a brother, Eitan, and a sister, Aviv... Donates time, resources, and game tickets to numerous Jewish community groups... Favorite cuisine is Italian... Hobbies include tennis and spending time with family and friends.